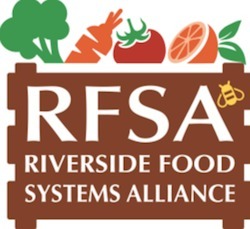 Riverside, CA (PRWEB) June 01, 2015 – This is the final call for registration to attend the 2nd Annual GrowRIVERSIDE Conference: The Future of Local Food, June 11 – 13 at The Riverside Convention Center. The conference will assist cities in examining and developing solutions to strengthen their local food systems and urban agriculture infrastructure. Organized for the city of Riverside by Seedstock co-founder Robert Puro, the conference will feature a broad lineup of speakers ranging from urban agriculture entrepreneurs, USDA representatives from Marketing Services and Rural Development, startup business experts from the U.S. Small Business Administration, local food policy experts, sustainable farmers and hydroponic practitioners as well as numerous buyers and distributors of local produce. The multi-day event is made possible through the generous sponsorship of: Kaiser Permanente, Riverside Community Health Foundation, Riverside Public Utilities (RPU), The Salted Pig, Riverside County Board of Supervisors, County of Riverside Economic Development Agency, Western Municipal Water District (WMWD), Parkview Community Hospital Medical Center, Netafim, Sungevity, Clark’s Nutrition and Natural Foods Market, Inland Empire Health Plan, Burrtec, Irrometer, CoolTerra, UC Riverside, Riverside-Corona Resource Conservation District, CR&R Environmental Services, Raincross Hospitality, Ponte Winery, Wicks Brewing Company, Cal Poly Pomona, Champion Electric, RICK Engineering Company, Arlington Business Partnership, Index Fresh, Prints on Wood, California State University – San Bernardino, Riverside County Farm Bureau, Riverside Food Coop, CBU Allied Health, Albert A. Webb Associates, Galleano Winery, The Raincross Group, Provident Bank, Riverside Land Conservancy, W. Wolfskill, Dr. Aleksandar Nadazdin, Art Plantae, Athens Services, Goodwin’s Organic Food & Drink, and Ridgecrest Real Estate. 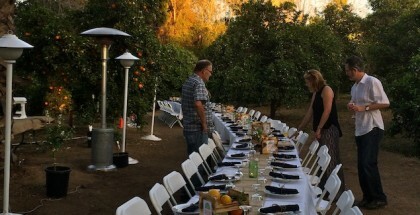 Conference registration is filling up fast and reservations for the opening night “Citrus Circle Dinner” are limited. For additional information pertaining to the event, ticket prices, panels, program speakers, and registration, please visit http://growriverside.eventbrite.com.